One, two, three, four, five, six, seven. Imagine you met the person of your dreams or the hiring manager for your ideal job during the time you just spent counting. Did you say exactly what you needed to? Did you portray your true self? Because, an article reveals that’s all the time you have to make a good first impression – seven whole seconds. And, research shows your first impressions linger “months and months afterward,” making them critical to establishing immediate and long-term relationships. Fortunately, job interviews and even speed dating events provide more time to make your mark after the introduction. Yet, that opportunity may not exist for brands trying to win consumers with street team marketing. Savvy brand marketers realize how important personal connections are to their business. And, they’re using street teams to make good first impressions. It’s proven effective and affordable in meeting their goals. Yet, knowing the impact of first impressions on potential business can seem daunting. This is especially true when encounters with consumers last mere seconds. And, this makes those seconds more valuable than ever. Street team marketing allows brands to get in front of consumers in those locations where they’re most comfortable. That may be where they live, work or go for fun. And, this gives event marketers an advantage. They just need to be prepared. Being prepared means knowing what their brand stands for and what they want to achieve with their street team. Having a clear handle on the first allows them to show the brand’s authenticity, which is necessary to establish trust and win business. The latter may surround increasing brand awareness or driving sales. Whatever the goal, these guide what they want to say (key messaging) and how they want to achieve the goal. Their strategy may be all verbal communication, or it may incorporate handouts or digital engagement. When brands make plans based on these high-level considerations, they lay the groundwork for success. If your street team marketing campaigns need a boost, consider the following five tips to make them better. These can also provide a framework for event marketers just starting out, giving you a jump on the competition. If your street team isn’t going where your targeted consumers are, they may be set up for failure from the get-go. You may have a specific metro area or more in mind. From that point, you’d need to consider your brand’s or product’s demographics to determine the best neighborhoods, buildings or events within the city. These demographics may include age, gender, income or hobbies, among others. Go directly to those locations that contain those who will benefit from your brand. Your street team will be able to maximize their time and increase the quality of interactions. It is important to keep in mind that after you research the best spots to find your target, those areas might not be what were originally on your list. Use data, not assumptions, to guide you for maximum return on investment. 2. Use Better Promo Staff. Your campaign will only be as good as the people who make up your street team. So, you’ll want to give much attention to the hiring of your promo staff, who become “the face” of your brand. That means you will want to consider their appearance and their personality to ensure they go hand-in-hand with what you want to portray. You’ll also want to consider their authenticity. Do they seem trustworthy? If consumers can’t trust your promo staff, they won’t trust your brand. If your brand is specialized, hire staff with relevant experience. Get away from a “warm body” philosophy and make sure your event teams are prepared to deliver on your event goals. 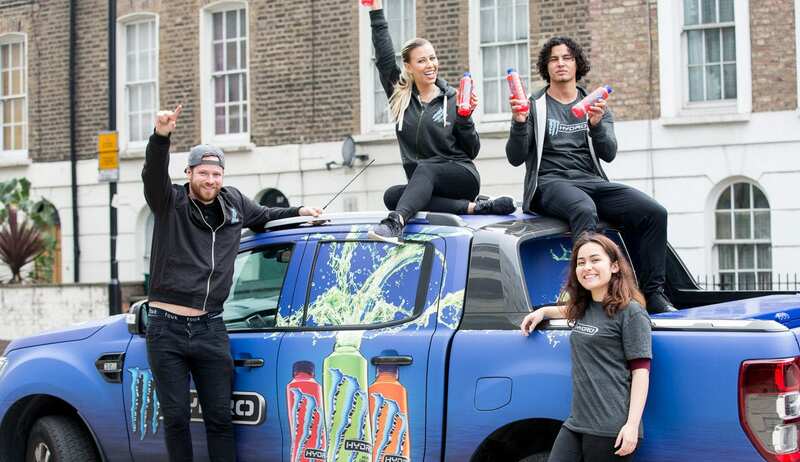 Street team marketing seems casual, however each activation requires the same planning and goal-setting as any other experiential campaign. In addition, street team marketing might have unique logistical requirements. There may be permits to acquire. And, the transport, storage, and distribution of materials might need extra consideration. When things don’t come together on the backend, it may be noticeable to consumers on the front end. To ensure a seamless activation, be sure to have a project manager for large-scale activations and always have a team lead or supervisor on-location, no matter the size of your effort. This person will be responsible for ensuring promo staff are where they need to be and can handle any issues that may arise with consumers, the weather and more. Oftentimes, when working with a promo staffing company, they will remove the burden by filling this role within the street team. 4. Have Better Messaging and/or Materials. When goals are unmet, consider whether your messaging conveyed what you wanted consumers to know and more important, to do. If you feel it did, think about whether key statements were succinct enough to remember. If they weren’t, they may not have also been for your promo staff, who may have gone off topic. You should also examine your call to action to see if it was clear. If it was clear, was it easy to take? Providing street team staff with digital means to gather consumer information or engage with them can be tremendously helpful for both the staff and consumers to act on. Just because your promo staff have the qualifications and skills to be on your street team doesn’t mean comprehensive training isn’t necessary. In fact, thorough training should be provided for every activation to ensure they have a firm grasp of your goal. This means you must cover talking points, key messages and even consumer engagement best practices. After training, use a quiz or other means to ensure your staff’s retention. If you’ll capture contact information or generate leads, they must also know how to record the data. Consider every detail of your activation, including your overall brand objectives, when preparing for training. The more they know, the better your street team will be. Elevate Staffing understands all that goes into a successful street team activation. We provide first-class promo staffing, as well as training services and permit sourcing, for brands worldwide. Contact us to discuss how our experience can help you improve your street teams or any other experiential event.